The Pass Plus course offered by Prelude School Of Motoring is £180.00 this is covered over six lessons usually over several days. 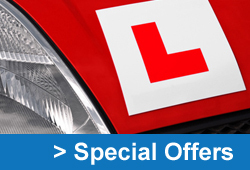 On completion of the course your certificate will be posted to you from the Driving Standards Agency which you can produce to your insurance were you may be eligible for a discount. For more information on the pass plus course watch the official driving standards agency video on the right hand side of this page.